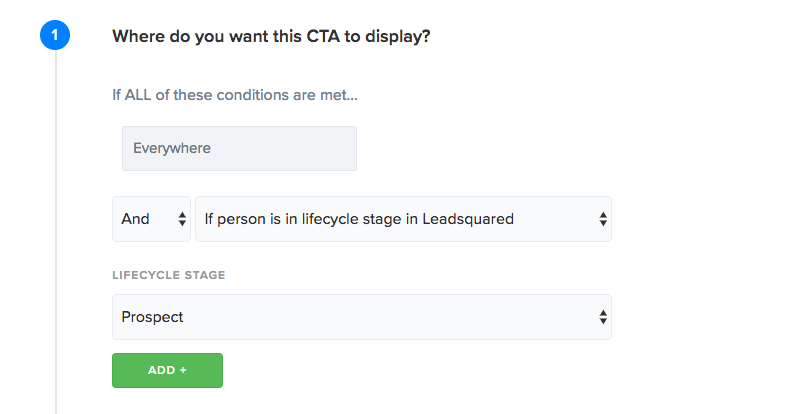 ConvertFlow makes it easy to display targeted CTAs to your website visitors and Leadsquared contacts by their tags. This means you can personalize your website for each of your Leadsquared contacts. When ConvertFlow syncs a person's tracking with their Leadsquared contact record, it pulls in their Leadsquared subscriber fields if the field isn't already present on the contact record in ConvertFlow. 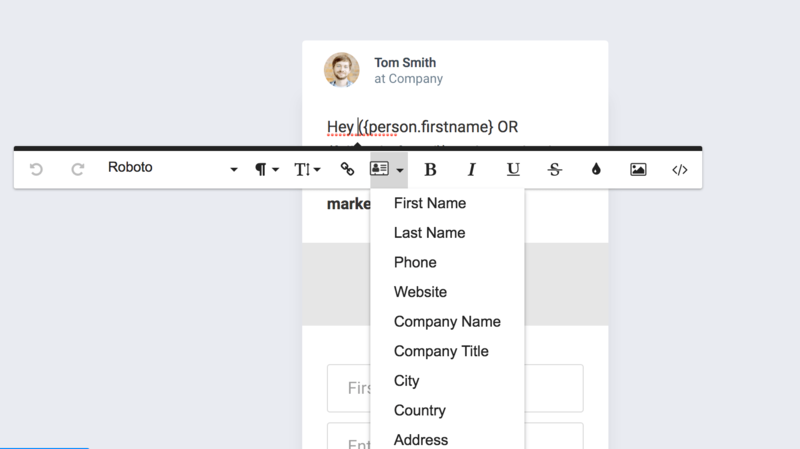 Then, using ConvertFlow's CTA builder, you can add merge tags to your content for website personalization, using Leadsquared data. So, this means once ConvertFlow is installed on your website, you will be able to target all of your new form submissions by their Leadsquared data. However, if you want to sync the tracking with your existing Leadsquared contact database, all you have to do is append their contact details to your email hyper links in Leadsquared, and ConvertFlow will sync their visitor session with their Leadsquared data. 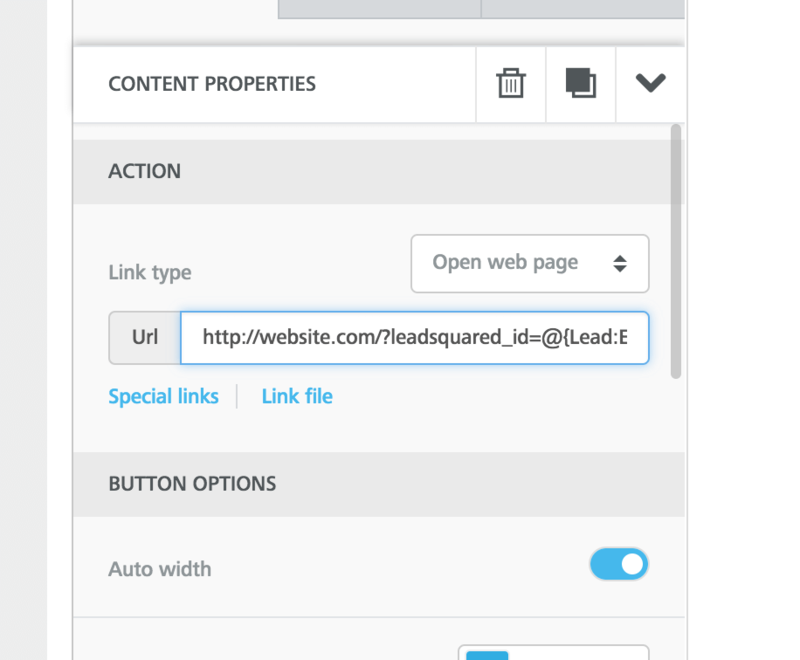 ...to the end of all of your Leadsquared email’s links, like how you would add any other URL parameter. Any Leadsquared contacts synced with ConvertFlow will have their profiles (with social data research) appear in your ConvertFlow contacts area. Their ConvertFlow contact record will appear upon form submission, or upon clicking a "Targeting Sync" link from your Leadsquared emails. Any social data ConvertFlow finds, that is not present in the contact's Leadsquared fields will be passed to Leadsquared, to help you personalize your email marketing campaigns.